Went to Greendale Pottery and Beef yesterday to pick up a quarter of a cow. You heard me. A quarter of a freakin’ cow. Anyway, as I’m sure you’ve gathered from the name, she also makes amazing pottery. Check out our new pottery beer mugs. 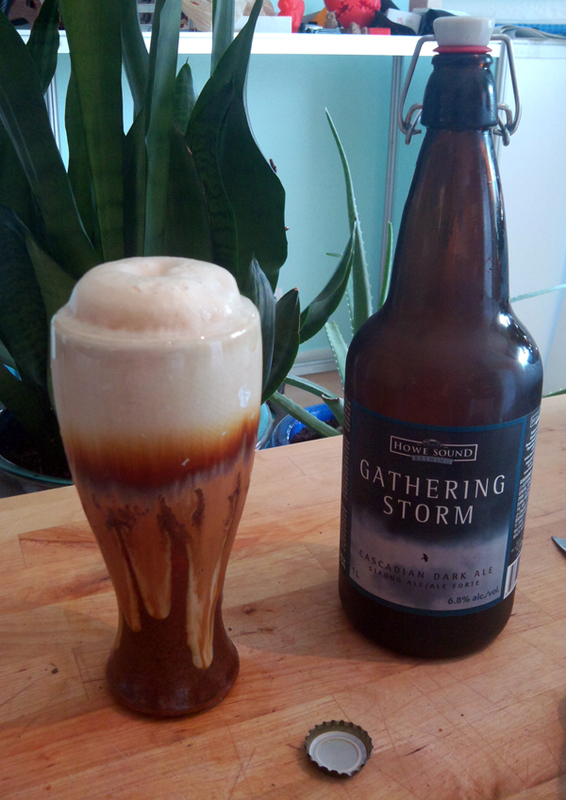 Looks like a beer poured into a clear glass and running down the edges but it’s just the glaze colour. ps. Maker Faire on Saturday! Don’t forget to buy tickets! 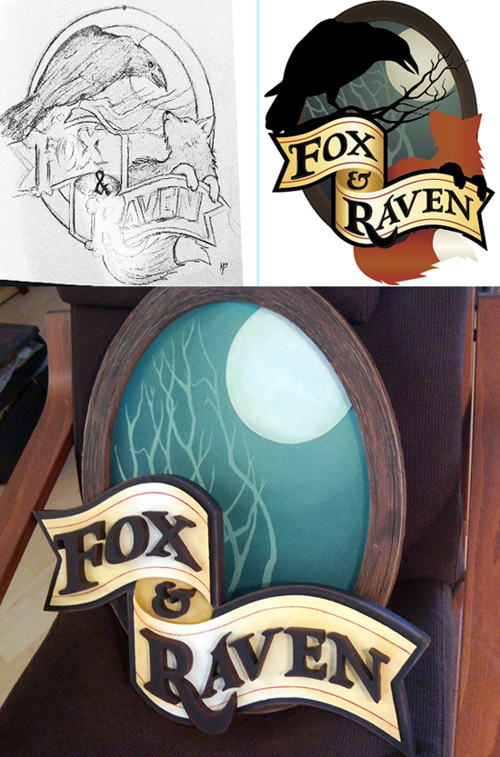 Progress on the pub sign is slow but steady. 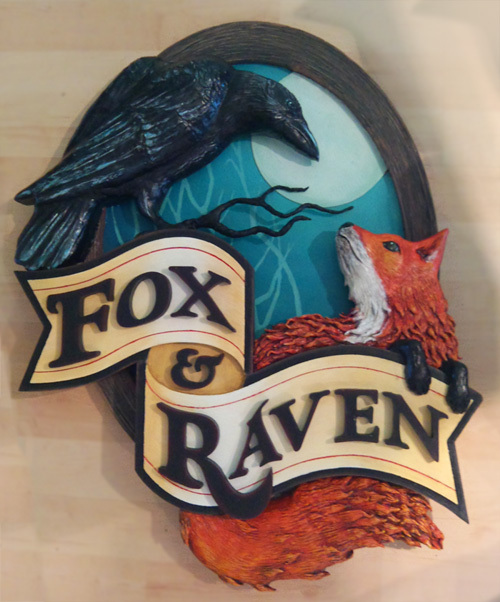 Just the Raven and fox to finish up. Hoping to do that this weekend. Just signed up for Vancouver Maker Faire 2012 today! !